can help keep your lanes clear of debris and your inspector happy. 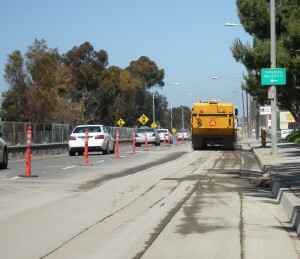 Working on a busy street presents unique challenges to your construction or paving crew. Managing lane closures, trench shoring, and curious pedestrians is distraction enough. Our drivers are trained to work with your construction crew, keep your site clean, and maneuver through traffic. 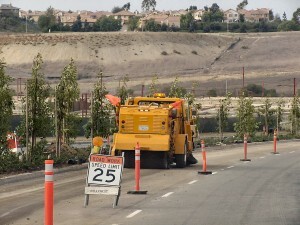 Keep your inspector happy by having a sweeper on site that not only sweeps great but has the necessary flashers and warning flags to keep your job site safe.